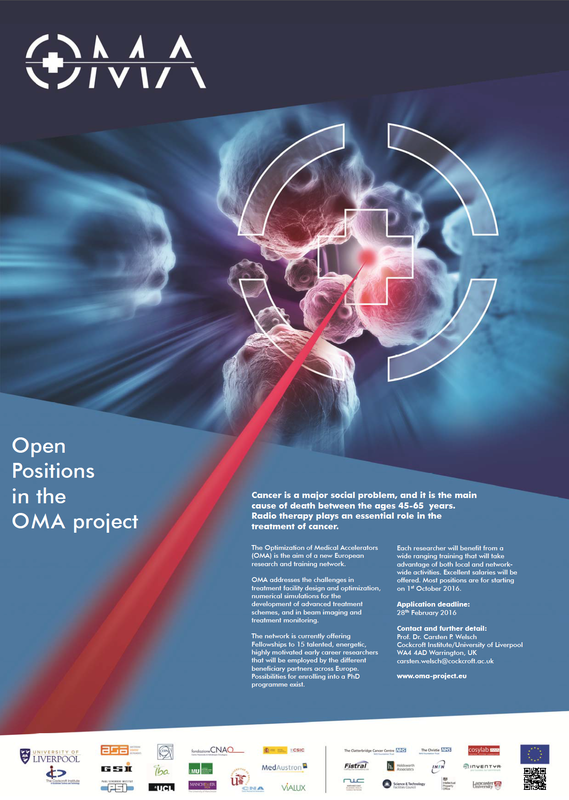 The project for the Optimization of Medical Accelerators (OMA) is recruiting! The network is currently offering Fellowships to 15 talented, energetic, highly motivated early career researchers that will be employed by the different beneficiary partners across Europe. Possibilities for enrolling into a PhD programme exist. Each researcher will benefit from a wide ranging training programme that will take advantage of both local and network-wide activities. Excellent salaries will be offered. Most positions are for starting on 1st October 2016.